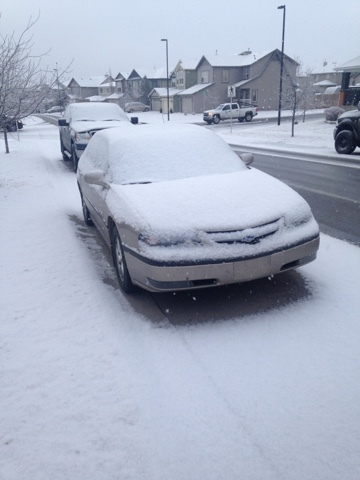 The trusty Impala had a fine layer of snow hiding a layer of ice. The ice seemed like it was welded to the windows and took some effort to clear. At one this afternoon the snow has practically disappeared. Blog note or two. Maybe more. I think I caught a flu on the weekend. Really not feeling well. What makes it worse is if I am sick I have to be in Edmonton for a personal matter this coming Friday. I hope I am well enough to make it as this is an important appointment. Thankfully I have some posts in reserve. Winnipegman - thanks for the comment. I received an interesting email from someone regarding St. Pauls Anglican Church Hillsdown Parish that I posted on earlier. This person gave me some information which I really appreciated. Hopefully I hear more from them. I managed to find this spot on February 14, 2016. 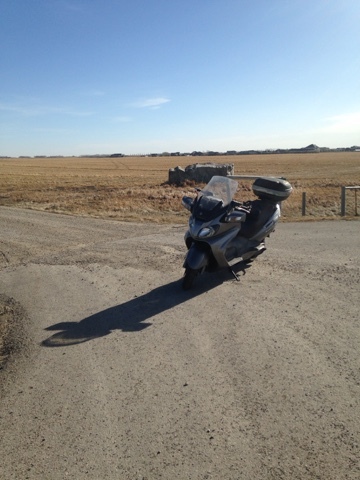 This is south of Cardston, Alberta. Take Highway 2 south until you get to Police Outpost Road, go west until you get to the junction of Township Road 20 and Range Road 262. The church was named St. Stephen's of Hungary to honour the settlers who came to this area from Austria and Hungary. 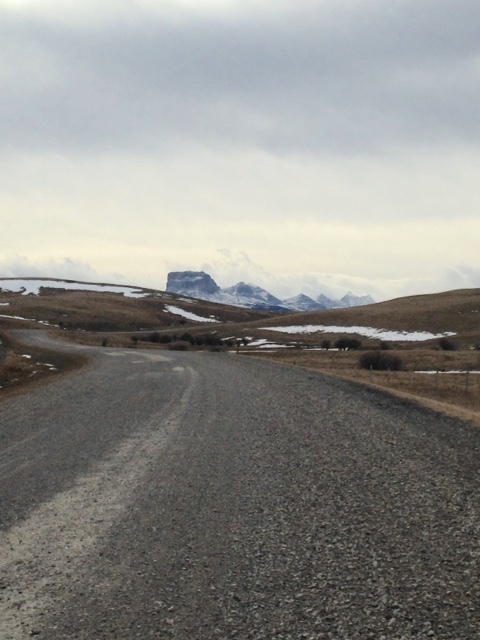 It was originally in a different spot, it was rebuilt here to protect it from the windstorms that frequent this part of Alberta. It is a Catholic church. Just off to the right of this photo is the cemetery. This is a very small church. The church is not locked and still has a service once a year. This is an amazing spot. The wind was cold and very strong. By the time I got back to the car my hands were aching from the cold. To the west you can see the Rocky Mountains off in the distance. Looking west on Township Road 20 near the church. In front of Western RV on February 17, 2016. The Hillcrest Cemetery. Hillcrest is known for the Hillcrest Mine Disaster. They did a great job here to mark this event. On the back is a list of those who lost their lives. There are markers everywhere that detail the extent of the disaster. There are names posted to remember those who lost their lives. The Masons have their own subsection in the cemetery. Every headstone in this part has Masonic symbols on it. Some spots could use some restoration. Maybe not, it adds to the character of this spot. In the background is Turtle Mountain where the disaster happened. It is too nice of a day here. I took the bike out of storage. 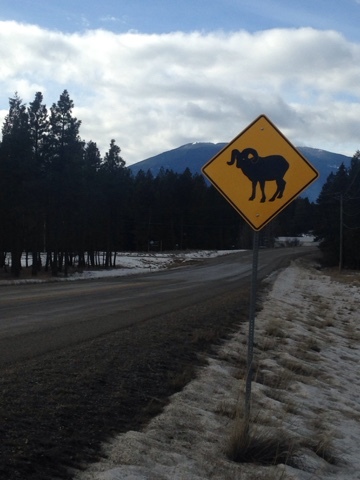 On Highway 3 east of Creston, British Columbia February 13, 2016. Yahk has seen better days. There are a few people, less than one hundred fifty, that live here. Abandoned. Nothing to say what it was. The Yahk Soap Company. The caboose looks abandoned. Not sure what is happening here. The caboose looks like it needs restoration. 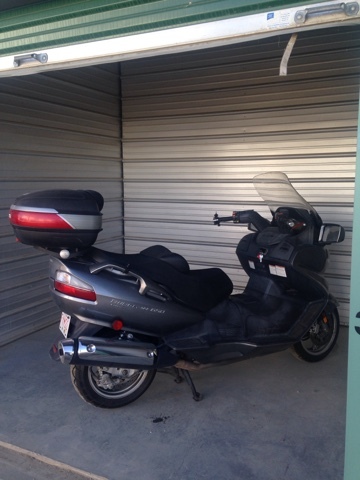 Soon my precious will be out of storage and hitting the roads. 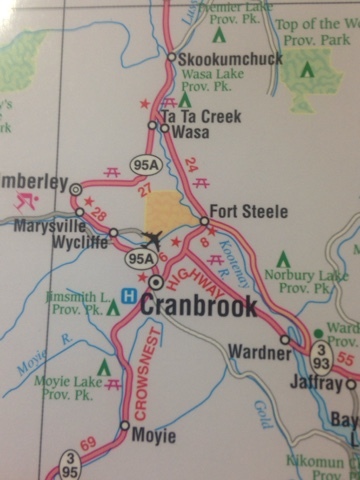 I lived in Cranbrook, British Columbia for about a year. 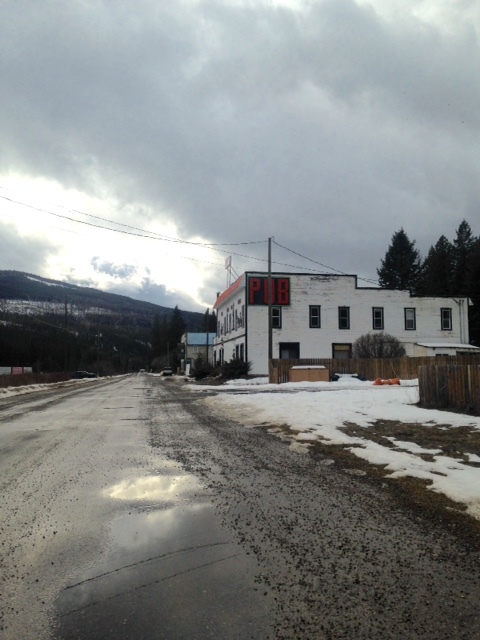 I always liked to take the old section of highway that ran from just before Wardner to Fort Steele. Fort Steele is named for one of the greatest Canadians of all time. I was on a mindless road trip and I had the opportunity to take this road on February 13, 2016. The highway is a little rough and could use a paving job. It has also lost a bit of what made it fun. The older style bridges have been replaced with modern safer ones and one hairpin curve no longer exists. 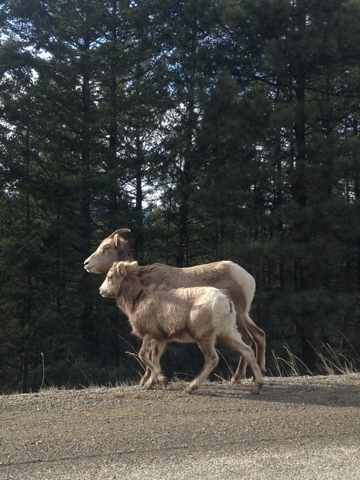 Years ago signs used to spell out "Watch for Bighorn Sheep on Highway". Now everything is in pictures. Maybe no one knows how to read anymore. Purely by chance I take a photo of the sign just for fun. I drive a few hundred feet up the road and run right into what the sign was warning me about. If you ever see these in the middle of road be prepared to wait. They will move when they feel like it. Honking my horn had no effect. 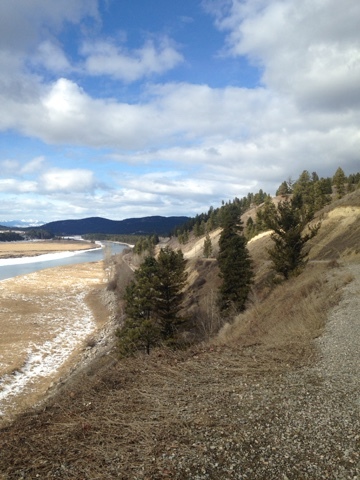 Close to Fort Steele is the Wild Horse River site of a gold rush in 1864. There was a town called Fisherville that lasted for a couple of years. There is nothing left although I would like to get to it sometime. A thirty-six ounce gold nugget was found there in the 1860's. The Nip & Tuck Gold Mine currently operates in the area. Long abandoned farm northwest of Hanna, Alberta. A bit of exploring in this area will turn up a fair number of places like this. Spotted February 15, 2016. I was out on February 15, 2016 with a friend of mine looking whatever might be interesting. We found this totally by chance. 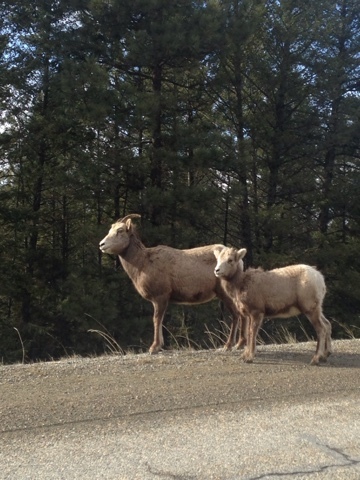 This is on Range Road 173 and just south of Township Road 324 northwest of Craigmyle, Alberta. 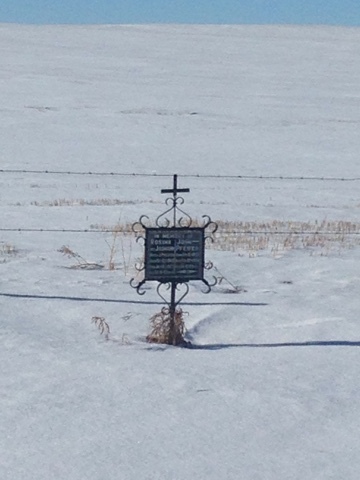 The marker shows where a church once stood from 1911 - 1960. There is a cemetery in the back. 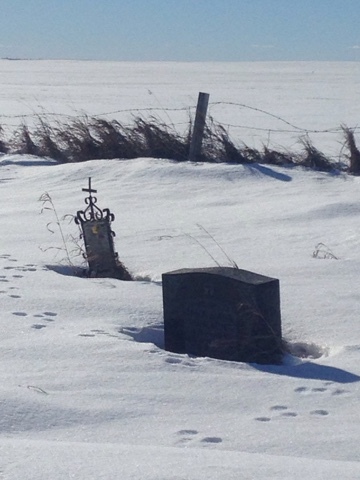 I walked from the road all the way to the cemetery. 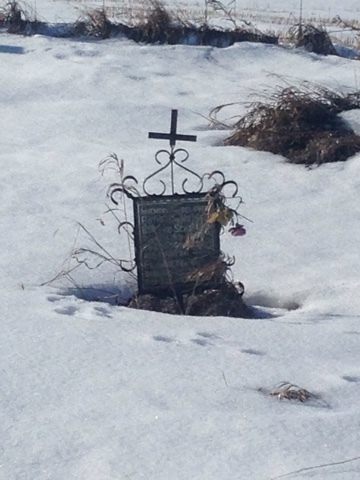 The most recent grave marker was dated 1947 that I could see. The snow was past my knees at that point so I will wait for summer for a return visit. 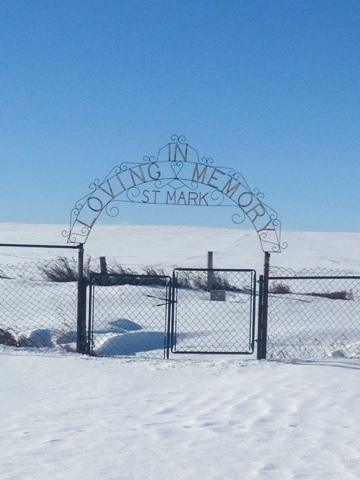 I also did not walk into the cemetery as I did not want to walk on any markers that might have been hidden by the snow. 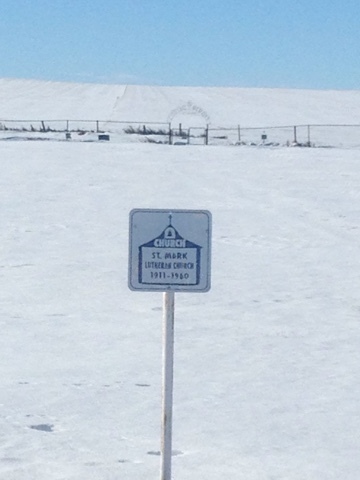 In parts of Alberta you may see markers showing where schools or churches once stood. School markers are common, church markers less so. Some historical societies are more active than others. What I found really interesting is that there were at least four markers of this same design. I could not make out the lettering from the gate. It warrants a return trip. What happened to all of the towns?